Friends, moms, dads, kids (although you probably aren't reading this)....can we share our favourite new everyday shoes with you! People Footwear is a brand we love that can outfit our entire family! Their shoes are so comfortable, easy to slip on and off and come in a variety of colours and styles. Our kids were so excited to see their new shoes, because they could all put them on themselves. Hello, mom win! 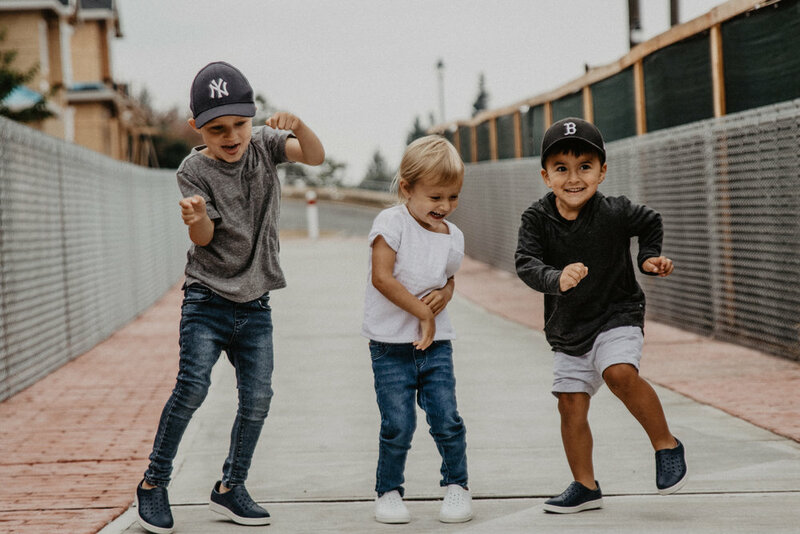 We love a good pair of shoes that our kids can independently slip on that are stylish, comfy and aesthetically pleasing. We love this picture so much because we feel like this sums up most of our days. We try and take the kids outside every day, if we can, because they can get swirly being inside! 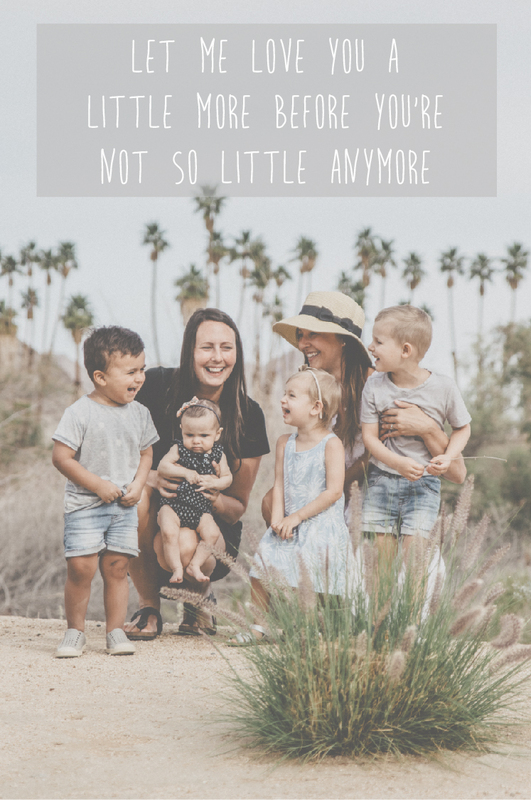 As soon as we get outside, our kids are running, laughing and we notice an immediate change in their attitude. We told the kids we had new shoes for them, they all cheered, ran over to us, put their shoes on and headed outside. Our kids are all wearing the Ace design shoe with the boys in Paddington Blue/Picket White and Kinsley in the Yeti White/Picket White. Choosing a neutral colour allows our children to wear these everyday with a wide variety of outfits. We have worn them as slip on shoes in the summer and have even paired them with socks in the fall. Lauren and I are wearing the Philips design in Pillow Pink (gorgeous soft blush pink colour) and Skyline Grey, both paired with Picket White. The laces fit perfectly with the shoe and you feel like you are walking on clouds when you wear them. We see many more fall walks in store for these shoes. Check out their collection as they have a newer knit slip on shoe that looks amazing as well!